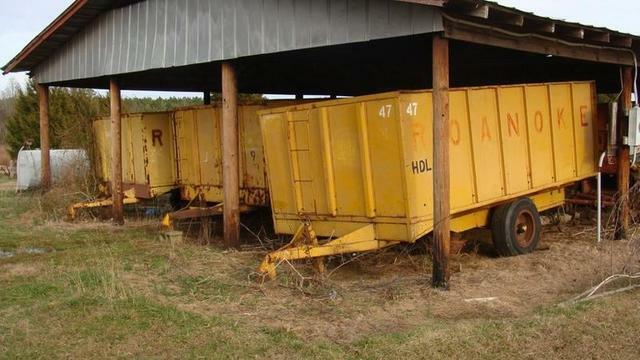 Consignments Accepted – Call First! Directions: From Littleton, NC take Hwy. 48 south for 8 miles. Turn left on Justice Branch Rd. Sale on the left. Approximately 30 miles north of Rocky Mount on Hwy. 48. Interstate 95 Travelers: Approximately 30 miles from Rocky Mount and 15 Miles from Roanoke Rapids, take Exit 160, and then take Hwy. 561 west for seven miles. (Brinkleyville). Take Hwy. 48 north for 11 miles. Sale is on the right. Reddick 4 row hooded Sprayer, 3 pt. (3) Redball 4 row hooded Sprayers, 3 pt. KMC 4 row Peanut Plow, 3 pt. (2) KMC 2 row Peanut Plows, 3 pt. Lilliston 2 row Peanut Plow, 3 pt. 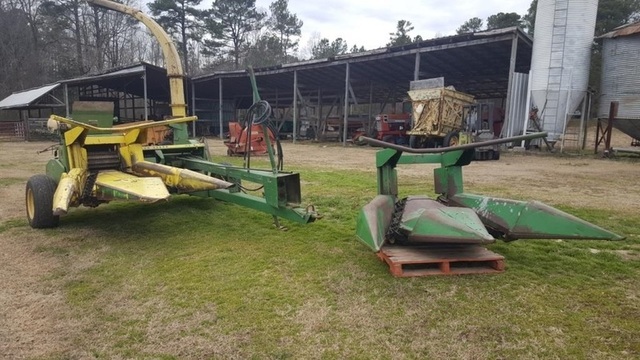 Ferguson Hydraulic Fold 6 row Peanut Fluffer, 3 pt. New Holland 57 Hay Rake, 3 pt. Kuhn GMD 600 Hay Cutter/Conditioner, 3 pt. Kuhn GMD 700 Hay Cutter/Conditioner, 3 pt. 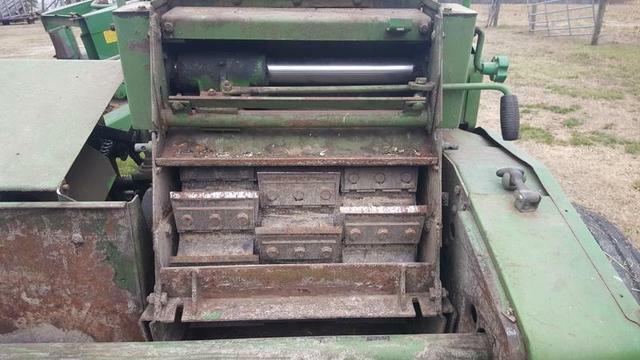 John Deere 7300 MaxEmerge 2 – 4 row vacuum planter, 3 pt. Lely Spin Spreader, 3 pt. Lannen 4 row carousel Tobacco Setter, 3 pt. 32 blade disc harrow, 3 pt. Massey Ferguson 3 bottom breaking plow, 3 pt. Massey Ferguosn 4 bottom breaking plow, 3 pt. (2) Massey Ferguson 5 bottom breaking plows, 3 pt. Ford 3 bottom breaking plow, 3 pt. 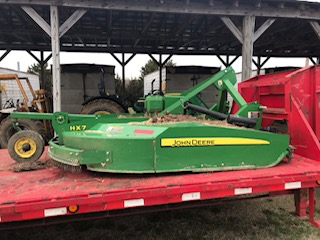 John Deere 11 tine Chisel Plow, 3 pt. KMC 4 row ripper bedder with row markers, 3 pt. KMC 4 row tobacco bedder, 3 pt. KMC 4 row bedder with row shapers/row markers, 3 pt. (2) KMC danish tine 4 row Cultivators, 3 pt. Ferguson 16 ft. Power Tiller, 3 pt. Ford 2 row cultivator, 3 pt. KMC 2 row rolling cultivator with sowers, 3 pt. Bush Hog 2012 – 12 ft. cutter, 3 pt. Woods 6 ft. cutter, 3 pt. 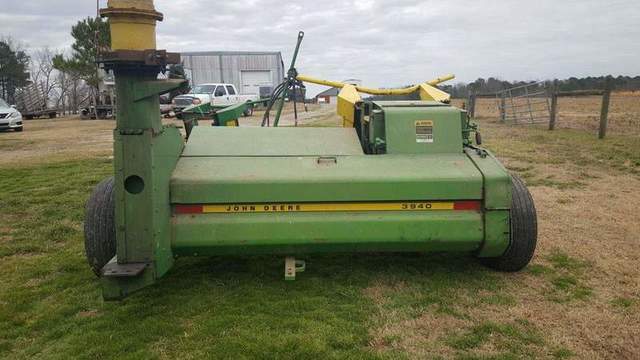 John Deere 709 – 7 ft. cutter, 3 pt. Rhino 8 ft. blade, 3 pt. Gehl 6 ft. box blade, 3 pt. (2) Reddick 200 gallon nitrogen rigs, 3 pt. Reddick 200 gallon sprayer with chemical mix, 36 ft. booms, 3 pt. Reddick 300 gallon 16 row sprayer, 3 pt. Directions: From Roanoke Rapids, NC take Hwy. 48 south for 11 miles. Turn left on Justice Branch Rd. Sale on the left. Approximately 32 miles north of Rocky Mount on Hwy. 48. Interstate 95 Travelers: Approximately 30 miles from Rocky Mount and 15 Miles from Roanoke Rapids. On Interstate 95 take Exit 160, Hwy. 561 west for eight miles (Brinkleyville), Hwy. 48 north for seven miles. Sale is on the right.